After nearly a year break from solo performances, I have two shows coming up this weekend with thereminist Victoria Lundy. If you are in Denver or will be coming through Denver stop by. Details below. To support these shows I’ve spent quite a bit of time re-working my live performance and collaboration rig and workflow to support real-time synthesis on both the sound/music side and the visuals side of things. I’ll do some posts on this soon. For now checkout a teaser video for the upcoming shows made from footage from October 12th Rocky Mountain Synthesizer Meetup on The Sound of 50’s SciFi: Theremins and Circuits. 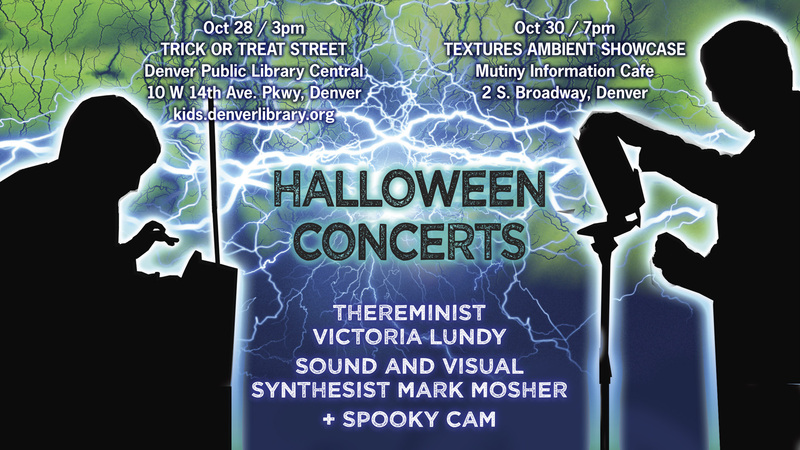 We’ll be performing as part of the Denver Central Library Trick or Treat Street. We’ll have a real-time camera on the passerbys to add spooky effects to their image. More info here – https://kids.denverlibrary.org/blog/halloween-trick-or-treat-street-central-library. Here is a map. You can park on the street at 2 hour meters, or at the Civic Center parking facility located south of the DPL and just east of the Denver Art Museum. 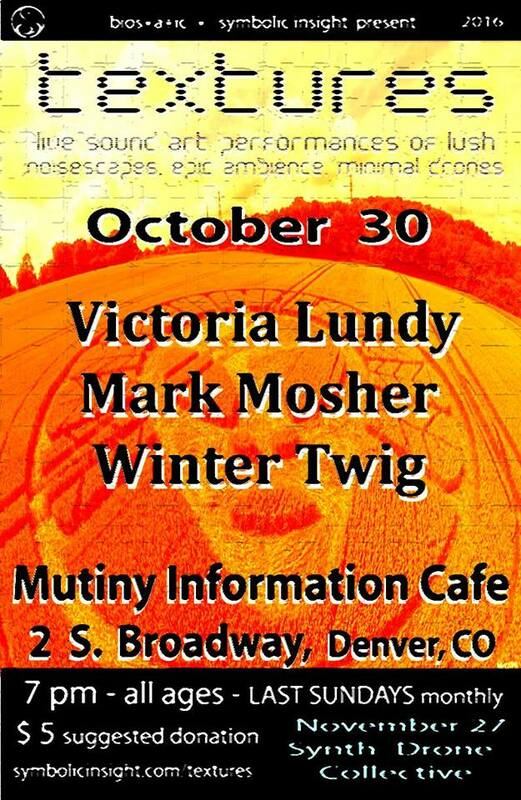 On the 30th we’ll be performing at Textures Ambient Showcase along with Winter Twig.Here is a map. Parking on the streets.